Up an escalator from the exhibition halls is the busy Agents’ Centre. That’s our table – 99 – and that’s where we hold our meetings, every half hour. 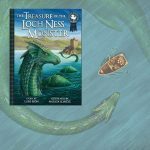 We show off our illustrators’ folios, talk about proposals, pitch finished novels, discuss progress on existing books and generally take the opportunity to amass and convey as much information as we can. Many of the editors are old friends, but every year we make new contacts. 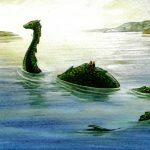 It’s an exciting environment – and the common element is a love of children’s books. The fact that it’s in the lovely city of Bologna makes the event extra special. 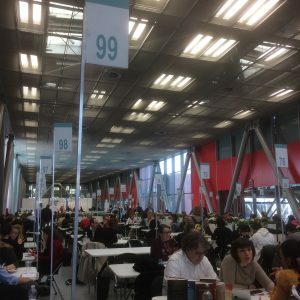 The Fiere, where the book fair is held is much like any other vast conference and exhibition space. But Bologna itself is unique, well worth a visit, a lovely place to walk around. 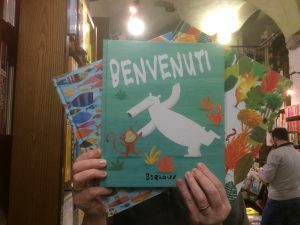 At its heart on the Piazza Maggiore is a gorgeous children’s bookshop, Giannino Stoppani Libreria Per Ragazzi, where, on our first evening, we were delighted to find Barroux’s books in Italian. It felt like a good omen! 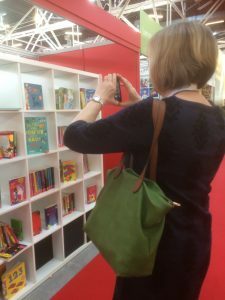 In a tradefair on the scale of the Bologna Children’s Book Fair, the sheer number of books on offer can be overwhelming. It makes us realise just how well those who find themselves published and on the shelves of bookshops and libraries have done. 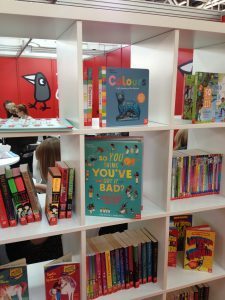 We’ve been doing this for many years, but it’s still exciting to see a book reach the shelves of the Bologna Children’s Book Fair – and it’s just too tempting not to take a photo of it in situ. This was Chae Strathie‘s latest book – non-fiction – So You Think You’ve Got It Bad? A Kid’s Life in Ancient Egypt, coming soon from Nosy Crow.